COLUMBUS — Cooler weather and shorter days mean more deer are now gracing Ohio’s roadways. The number of deer-vehicle collisions peak during the fall, which means drivers need to use caution and remain alert during the months ahead. 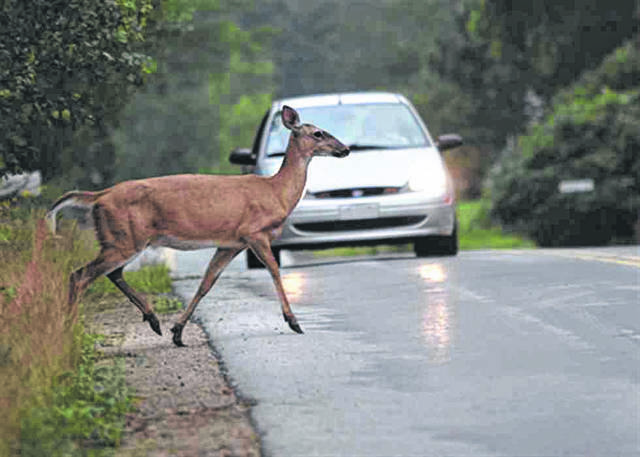 “Although deer and other animals are unpredictable, there are actions you can take to help prevent a crash or reduce the damage from an animal collision,” said Ed Conley, of AAA Ohio Auto Club.